Our Version of Events — the debut album from Capitol Records’ artist Emeli Sandé — debuted on the UK Album Chart at No. 1 this week. Due for release in the U.S. on June 5th, Our Version of Events is a powerful platform for Sandé’s rich, soulful voice and sophisticated songwriting. As Q magazine put it: “She’s made an album that deserves to linger in the limelight — passionate, powerful, and possessed of real star quality.” A heady and complex soundscape to showcase her towering talent, Our Version of Events is rife with raw emotion, while bearing a sharp and shining retro-futurist feel. Sandé will make her North American live debut with a string of stateside showcases beginning Monday, February 27th. In addition to private shows in New York City and Los Angeles, she will perform for the public in San Francisco, Minneapolis, and Toronto before returning to the U.S. this summer to open a series of arena shows for her Capitol Records’ label mates Coldplay, whom she toured with in the UK in December. The Scottish-born singer and songwriter won the 2012 Critics Choice Award at the BRITs (recent winners include Adele and Florence + the Machine) and was also nominated for “Breakthrough British Artist” this year. Besides the industry embrace, critical acclaim, and radio success she’s already earned in the UK, Sandé’s fellow artists are also lining up. With Coldplay tapping her for opening slots on both sides of the Atlantic, other early admirers include Alicia Keys who has been quoted saying “She’s a magnificent new artist…I just love her style and her flow.” Keys also co-wrote and produced the track “Hope” on Our Version of Events and has been writing with Sandé for her next album. Finally Adele was moved to Tweet “How incredible is she?” upon seeing Sandé perform on Later…with Jools Holland. 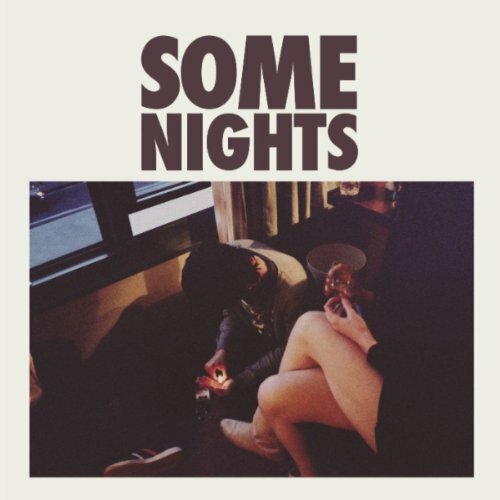 An intro reminiscent of an operatic nightmare with wandering time signatures and high voltage theatrics kicks off Fun’s sophomore album by saying welcome to Some Nights, a world all in itself. Like a Freddy Mercury reincarnate with the backup choir from Paul Simon’s, Graceland, Fun’s lead singer, Nate Ruess let’s his modern day vocal chops shine through in the very catchy song, “Some Nights.” The next track, “We Are Young,” featuring Janelle Monae, showcases the radio friendly sound of album producers Jeff Bhasker and Emile Haynie. With these two behind them and the band’s wide range of influences including Elton John and Queen, Kanye West and Paul Simon, Fun takes its listeners on a hook-fueled journey. “Carry On” brings in the Irish pub vibe until the guitar solo from Jack Antonoff kicks in. “It Gets Better” picks up the pace with pop rock that was as “effortless” to write as it sounds, according to the band. The same couldn’t be said for “All Alright,” which was the last song to be written on the album due to being denied use of a sample as their hook. Luckily Emile saved them from the arduous process of starting over from scratch by handing over an original beat. That instance aside, some songs may have been better off less produced such as “Why Am I the One?” which was intended to be an acoustic song from the onset (or Nate’s highly vocoded vocals throughout the album and especially overdone in the closing track “Out of Town”). All in all Fun’s Some Nights makes for a simple party concoction with vocal heavy rock compositions mixing with the bouncy dance driven singles. There is a cohesive anthemic energy evoking memories of summers long gone and child’s play emitting from this album. Taking inspiration from everyday life and the artistic greats of many generations, this young songwriting trio delivers a solid second go around that is equal parts hip hop and indie rock, bubble gum pop and dance music with Some Nights, and quite possibly a song of the summer. Dance-rock trio Turing Machine have announced the release of their first album in eight years, What Is The Meaning Of What, set for release May 8 on Temporary Residence Ltd. The extended hiatus that ensued following the release of their critically-acclaimed 2004 album Zwei was in large part due to drummer Jerry Fuchs’ run of high profile collaborations with !! !, Maserati, The Juan Maclean, LCD Soundsystem, Holy Ghost!, MSTRKRFT, and Massive Attack, amongst others. Recording for What Is The Meaning Of What began in 2008, but came to a halt following Fuchs’ tragic death in an elevator accident in Brooklyn, NY. After revisiting the tracks, Turing Machine’s remaining members, guitarist Justin Chearno and bassist Scott DeSimon, went into the Brooklyn studios of producers Andrew Raposo (Midnight Magic) and Abe Seiferth to finish writing and recording the record. Over the course of 2011 they called on a plethora of friends to contribute, LCD Soundsystem’s Pat Mahoney, Disappears vocalist Brian Case and a host of musicians from the DFA roster, including Abe Seiferth, DJ McNany and Caito Sanchez (Midnight Magic). What Is The Meaning Of What ups the ante on the uptempo psychedelic post-punk fetishism of Zwei, boasting seven tracks of forceful dance-floor rock anthems. Propelled by Fuchs’ unrelenting grooves and bubbling with layer upon layer of hypnotic riffs, the album locks in its target (your hips) and refuses to let go for its 40-minute duration. Check out the full track list and album art below. Paul Weller returns this spring for his only scheduled appearances in North America this year. Weller and his band will perform at a two-night stand at the Best Buy Theater in Times Square, New York on May 18th & 19th. His New York shows will be in support of Sonik Kicks, which is scheduled for release on March 27th 2012 on Yep Roc Records. The album is the follow up to the Mercury Prize Award nominated Wake Up The Nation and is also Paul’s eleventh solo album. Swedish electro-pop group Lo-Fi-Fnk has announced the release of single “Kissing Taste,” out next week featuring remixes by Main Attrakionz, Krusha, Lemaitre and more. Premiered at Stereogum, the video “features the group’s Leo Drougge and August Hellsing (as well as other nice-looking Scandanavian youths) making the most of a snowy, smoky lost day as it winds down.” Lo-Fi-Fnk has also premiered the Krusha remix of the single, with the original track taken from their Last Summer LP. Late last year, Lo-Fi-Fnk embarked on a North American tour with Architecture in Helsinki and DOM. They released their debut Boylife LP with Moshi Moshi in 2006, a confection of sharp melodies, beats and clever lyrics, with tracks highlighted on Stereogum, Pitchfork, NME, It’s a Trap, Discobelle, and many more. Since then, they’ve remixed and been remixed by artists including Yelle, Architecture in Helsinki, Foster the People, The Radio Dept., C asiokids, and Mika among others. Touring the world the two have shared the stage with Hot Chip, Crystal Castles, Junior Boys and Datarock & The Presets. Psychedelic “Off The Wall” Video Out Today! French electro-pop composer Yuksek (aka Pierre-Alexander Busson) released his new album, Living On The Edge Of Time, February 14 on Ultra Records. Combining the infectious house beats and dance-floor vibe that Pierre has perfected with a more straightforward pop sound, the album has gained widespread praise from the likes of USA Today and CMJ, among others. Today, Yuksek released a psychedelic video for album track “Off The Wall.” The playful video brings the bouncy, upbeat track to life with images of mirrored body parts moving along to the beat and giant faces built of colorful paper cutouts. Head to Dailymotion to check out the creative “Off The Wall” video and feel free to post and share! On Living On The Edge Of Time, Yuksek’s melodic vocals shine over catchy hooks and toe-tapping beats. Opening track “Always On The Run” grabs listeners from the start, setting an energetic tone for the rest of the album. “On A Train” is a true dance-floor anthem, building to an explosive chorus that will get stuck in your head for days. “White Keys” is marked by a synth melody that is featured throughout, setting a more contemplative mood. Closing the record is psych-pop track “Out Of Control,” complete with finger snaps and driving bass. Having already made quite an impression in North America, Yuksek’s US fans will have more chances to catch the master of electro-pop performing live. Yuksek will head out on a string of US dates this March, including several performances at SXSW and Winter Music Conference. Be sure to catch the band unleash a tour de force live in a city near you! It’s very simple; no one can get enough of Brad Oberhofer. He broke out with the fresh sound that everyone had been craving to hear. Now, this Tacoma bred-Brooklyn based artist is rollin’ with the core music crowd and gaining notoriety by the day. Luckily, you can catch him at the Bowery Ballroom March 21st. Every one of your pennies would be worth it. What’s the difference between Washington State’s versus Brooklyn’s music scene? 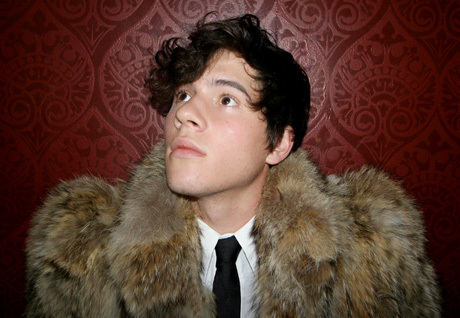 Oberhofer: I think Brooklyn’s music scene is just more expansive! There are so many places to play, so many neighborhoods to hang out in, and more potential friends! You blew up after the release of o0Oo0Oo. Were you surprised at how quickly everything evolved? Oberhofer: I don’t think I really noticed! So you play all the instruments separately on your album? Oberhofer: Mostly. The rest of the band plays on the record too! Matt Scheiner plays some guitar parts, Dylan Treleven plays some bass, and Pete Sustarsic plays drums. I also had my friend Kristine Kruta play cello, my friend Tessa Sacramone play violin, my friend Cicourel Hanly play Oboe, and my friend Natalie Young play flute. (Steve Lillywhite played a percussion track here and there. They’re all super talented. I read you started playing music in 4th grade. From that point on, did you always know you wanted to be a professional musician? Oberhofer: No, it took a while! I also read you used to freestyle rap. Would you ever incorporate any freestyling/hip-hop elements into future tracks? Oberhofer: Maybe, I haven’t tried yet! You have recorded some beautiful love songs. Is that one of the main themes present in your music? Oberhofer: I love a lot of things, I figure it must. My friend told me about the epic time when you performed a cover of Kanye’s Runaway at Spotify’s show at Mercury Lounge. Are you ever going to release that version? Congrats on Coachella! What an honor….On a scale from 1-10, how excited are you to perform at the festival? I always ask a random question, do you have a favorite karaoke song? Oberhofer: I don’t pick favorites, but I did Space Oddity the other night and it felt really nice. They’ve been popping up like wildfire nowadays: folk/pop songwriters that sing with a quasi-profound, heart-on-sleeve air. They attempt to affect a “deeper” musical experience than the typical Top-40 radio fare provides, and yet somehow end up making it to the Top-40 anyways. Of course, this approach is nothing new to The Fray, who have built a career around songs like “How To Save a Life,” an anthem for Kiss FM listeners trying and/or pretending to have a refined taste. I shouldn’t be so hard on the band. There are some light moments dispersed here and there. After “The Fighter” chugs along for about 2 minutes and 30 seconds, the song quiets as the band fades, evoking elements utilized by bands like The Rocketboys. As the momentum builds again, the key shifts higher but is matched with a low note on the piano while lead singer Isaac Slade sings, “The lover held her love / She begged him not go.” He continues, “Somehow they both know / He’s not coming home,” keenly capturing the emotional intimacy of a couple that has mutually realized the end of their romance. And it is refreshing to hear any artist convey the beliefs that shape their art, like the band does in “Be Still”, even if they do try to inconspicuously mask what they are really talking about (Do they really think the listeners are not going to pick up on who’s talking when it says, “When darkness comes upon you / And covers you with fear and shame / Be still and know that I am with you”? ), all the while denying any allegations of being a “Christian” band. For as many eye-rolls and dismissals one might suffer in the company of high-browed hipsters when name-dropping The Fray, it is difficult not to move, albeit reluctantly for some, when their songs play. That’s probably the point. As a follow up to their latest LP, Blood Pressures, The Kills have released an EP, The Last Goodbye. The album begins with a reprisal of their most well-received song by the same name, a track gushing with emotion reminiscent of Duffy’s “Warwick Avenue.” Only instead of a blonde with Motown influenced vocals you’ve got VV singing with the dark and moody ruggedness of a 1980’s heroin high in Tompkins Square Park. It’s a haunting melody that will interrupt your dreams for days and a lyrical line that resonates with anyone who’s ever had to begrudgingly bid farewell to an unhealthy love. Then you’ll hear the covers. Fitting right in with the ambience created in the title track is the second song, “Pale Blue Eyes,” made famous by The Velvet Underground decades ago and still a staple in the late night bar scene. 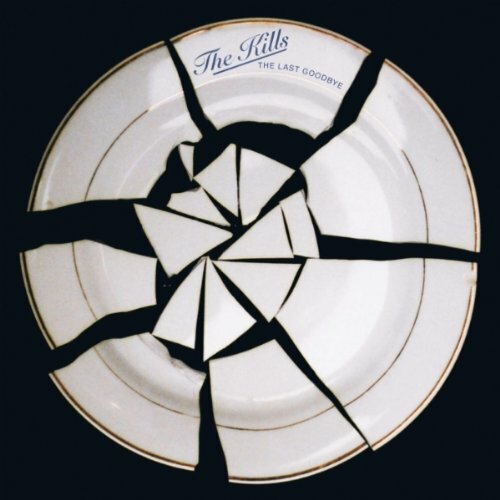 Fortunately The Kills balance the acts of paying homage to the original vocal performance and stepping it up a couple notches of intensity with a simple but heavy drum beat combined with a sleepy garage rock sound on guitar. Next on the list is “One Silver Dollar” where VV shows the lighter side. Sticking with the acoustic nature of the original as performed by Marilyn Monroe, The Kills hold true to their somewhat sullen sound but cut back the edge on this one. Like a bridge after two dark verses, “One Silver Dollar” lightens the EP up just before delving back into the abyss of heartache. 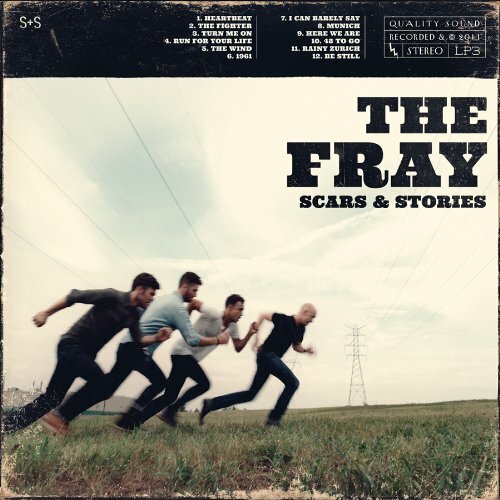 Winding down the EP with a jukebox favorite and popular cover song, “Crazy” fits right into the theme of The Last Goodbye as a suitable closing for one very lovesick ride.